Our group of former civil servants of the All India and Central Services have interacted with the Election Commission from time to time on issues of public interest. We are now writing to you to draw your attention to a potential threat to the correct applicability of the Model Code of Conduct (MCC). There are media reports that a biopic on our Prime Minister, Shri Narendra Modi, is being readied for release. The release was set for 12 April 2019, then, unexpectedly, it was brought forward to 5 April 2019. You will appreciate that such a film would create enormous electoral mileage for the Prime Minister and the party in power. It is, therefore, necessary to examine whether the release of this biopic after the announcement of elections and the coming into force of the MCC is consonant with the principles of a free and fair election. The same principle would apply to any similar biopic on any other candidate in the forthcoming elections, since news reports mention a biopic on the president of the Indian National Congress, Shri Rahul Gandhi (though there is no mention of the date of release). We deeply appreciate your efforts to get social media platforms to adopt a code of conduct for their activities and responsibilities during the election process. In our view, the same principles apply to the process of film certification and release during an ongoing election process. It is specially required, under the MCC, that “the party in power whether at the Centre or in the State or States concerned, shall ensure that no cause is given for any complaint that it has used its official position for the purposes of its election campaign.” It cannot be said that the Information and Broadcasting Ministry has no role in this, given that the Central Board of Film Certification falls under its jurisdiction. When even appointments to the Boards of Public Sector Undertakings are not permitted under the MCC, open advocacy of the role of the Prime Minister (or of any other candidate) in biopics or documentaries focused on them amount, in our view, to propaganda in favour of individuals belonging to particular political parties at a time when the MCC is in force. When expenditures on behalf of a candidate even without his/her formal permission are deemed to be counted as part of the expenses incurred by the candidate, a view also needs to be taken whether the expenditures on the production of such biopics or documentaries and their distribution/publicity should be added to the expenses incurred by the candidate directly. We are of the view that there is no urgency for the release of such biopics or documentaries at this juncture, except to garner publicity for political personages and the political parties they represent. We, therefore, request the ECI to issue directions to withhold their release in cinema theatres or as home videos or on the Web (via YouTube, Netflix, Hotstar or similar channels) or via social media (Facebook, Twitter or any other) till the date when the MCC ceases to operate, i.e., on a date after 23 May 2019. 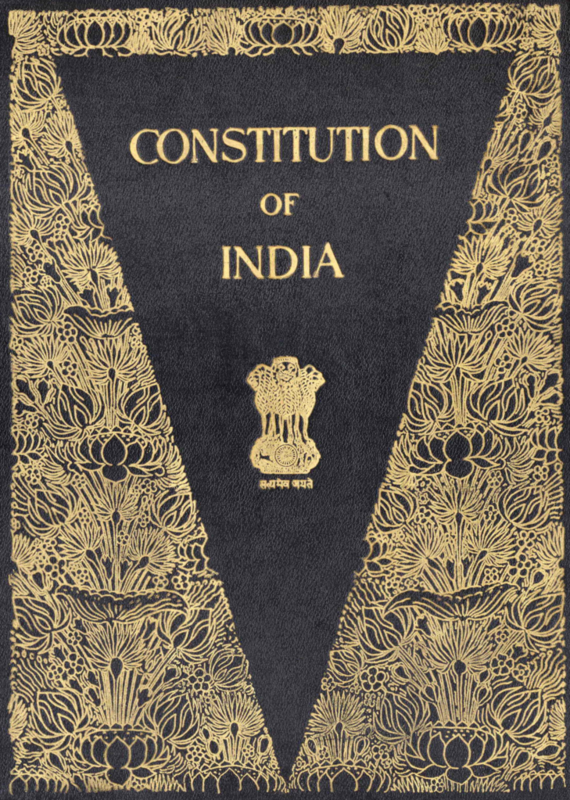 In a catena of judgments both before and after Association for Democratic Reforms v. Union of India” (2001), the Supreme Court has ruled that Article 324 of the Constitution of India operates in areas “left unoccupied by legislation” and the expressions “superintendence, direction and control” as well as “conduct of all elections” in Article 324 are the “broadest of terms”. Therefore, “the Commission can cope with a situation where the field is unoccupied by issuing necessary orders”. In other words, the ECI’s power under Article 324 is to be construed liberally and given its widest possible meaning. Thus, the ECI is fully competent to tackle the situation where biopics or documentaries on candidates are released during the middle of the election process by suitably amending the MCC or issuing such other directions as are deemed appropriate. We are confident that the ECI will uphold the highest constitutional principles in this regard. With all good wishes for the successful conduct of the forthcoming elections.